Boutique hotels are what the latest travelers are after. They offer unique experiences with an immersive design that is Instagrammable from any angle. I’ve rounded up the best-designed boutique hotels throughout the entire country including spots in Panama City, Boquete, Bocas del Toro, and more. 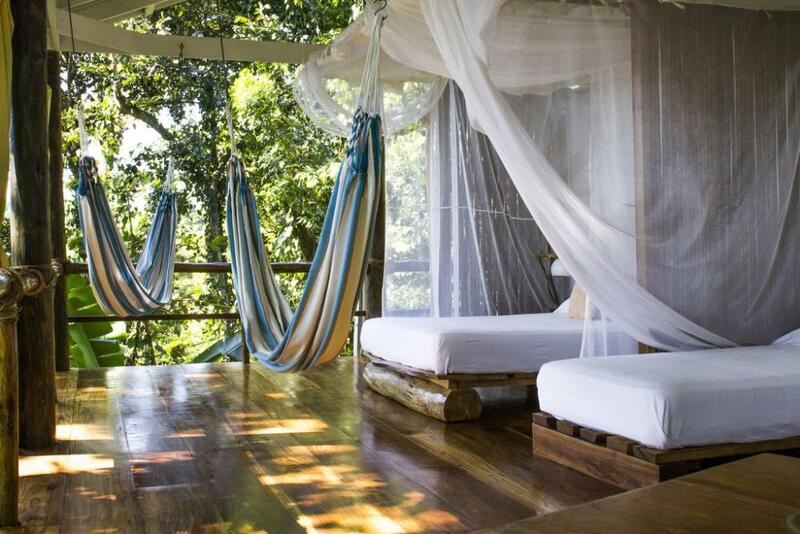 From eco-tree house retreats in the jungle, waterfront bungalows, and charming rooms in the historic district, these are the most stylish boutique hotels in Panama. 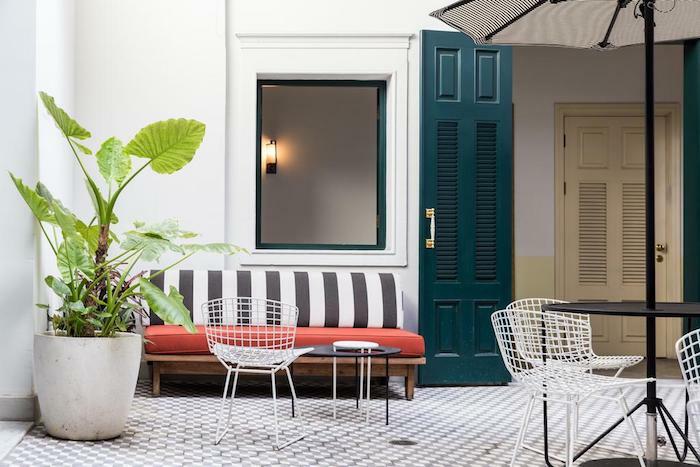 The American Trade Hotel is one of the most stylish places to stay in the historic Casco Viejo neighborhood of Panama City. Besides the eye-catching lobby and rooms, the hotel has an array of amenities to keep you entertained. Grab a premium cup of coffee at the attached Unido Cafe, enjoy fine dining at the lobby level restaurant, listen to an amazing jazz concert at Danilo’s Jazz Club, and take a dip in the rooftop pool after a hot day of exploring Casco Viejo. 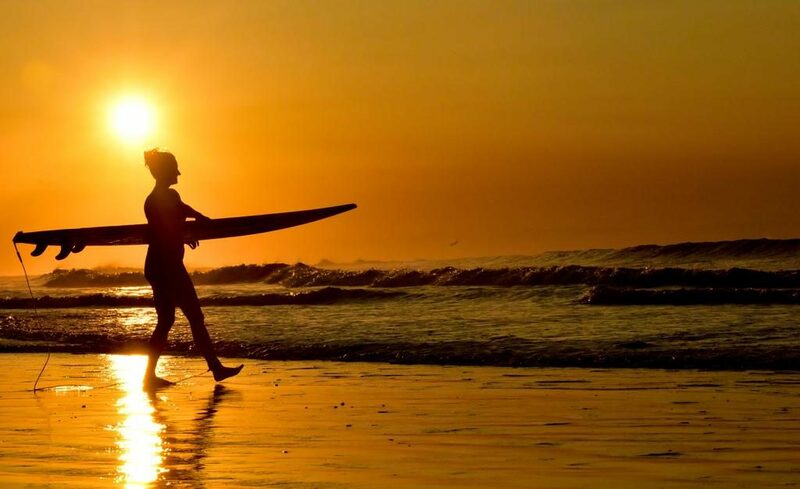 In the remote town of Cambutal sits a luxury surf & yoga retreat waiting to be discovered. Sansara Resort features a spa, yoga & surf classes, private beach, and an oceanfront saltwater pool. The restaurant and bar at the hotel is world class serving only the best farm to table local ingredients, an array of fresh juices, smoothies, and incredible cocktails. 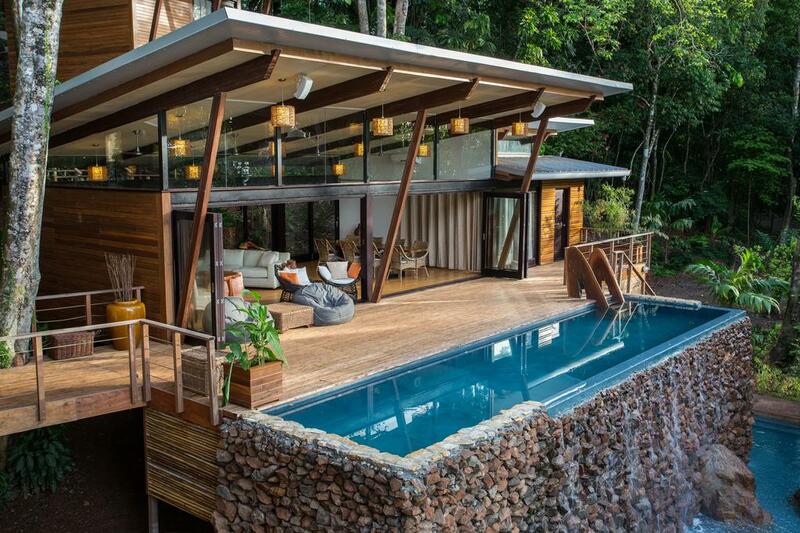 El Otro Lado is a luxurious private retreat located in Portobelo, less than 1.5 hours from Panama City. The property features five private villas, an oceanfront swimming pool, on-site restaurant, and you can enjoy adventurous outdoor activities like kayaking, diving & snorkeling, fishing, hiking, and more. 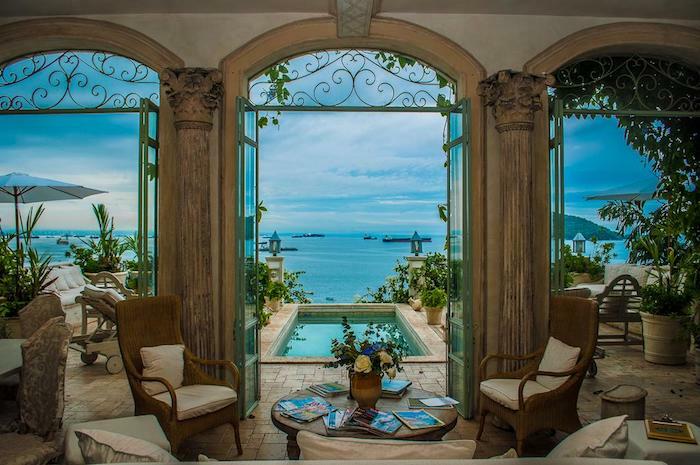 Villa Caprichosa looks like it’s straight from a fairy tale. It is located on Taboga Island, which is only 30-minutes from Panama City by ferry. The property was constructed by internationally renowned designer Diane Burn and took over seven years to build. With all of the intricate details, you would never guess it was made entirely out of concrete. It has been operating as a luxurious bed and breakfast (often getting a 10/10 rating from guests on booking.com) on the island and now has the addition of offering visitors an incredible gourmet dinner. 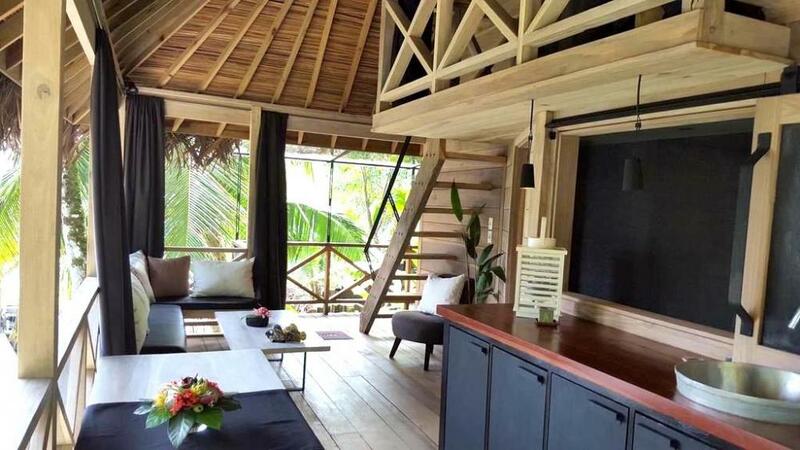 The Firefly is a beautiful rustic retreat on Isla Bastimientos in Bocas del Toro and features a restaurant, bar, pool, yoga studio and lounge space. This is the type of property down to earth eco-lovers will enjoy as you’re immersed in the beautiful nature. An amazing rotating breakfast will be prepared for you each morning that utilizes fresh, local ingredients. “Everyday is something new, whether it’s banana pancakes, breakfast tacos, or french toast with coconut or mango from our yard, it’s all fresh & yummy.” The staff is also able to assist you with booking local tours to explore the other islands of Bocas del Toro. 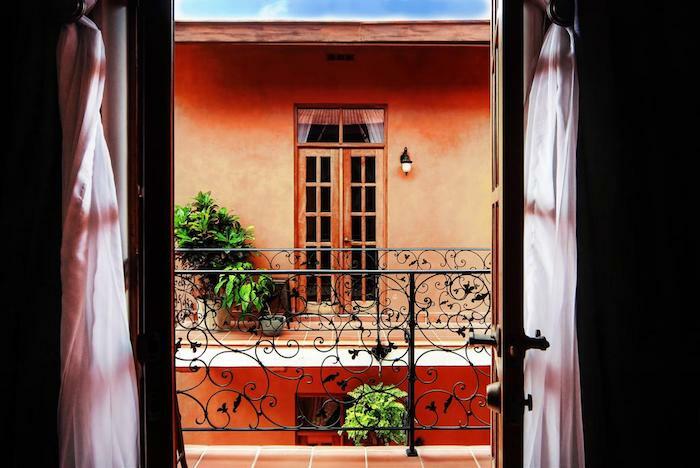 La Isabela Suites offers full-service luxury apartments in the heart of historic Casco Viejo. Each space is uniquely designed and La Isabela combines the largest suites in the city with the services of a luxury boutique hotel. The onsite concierge can assist you with anything you need during your stay like spa services, touring the city, and even a private chef! 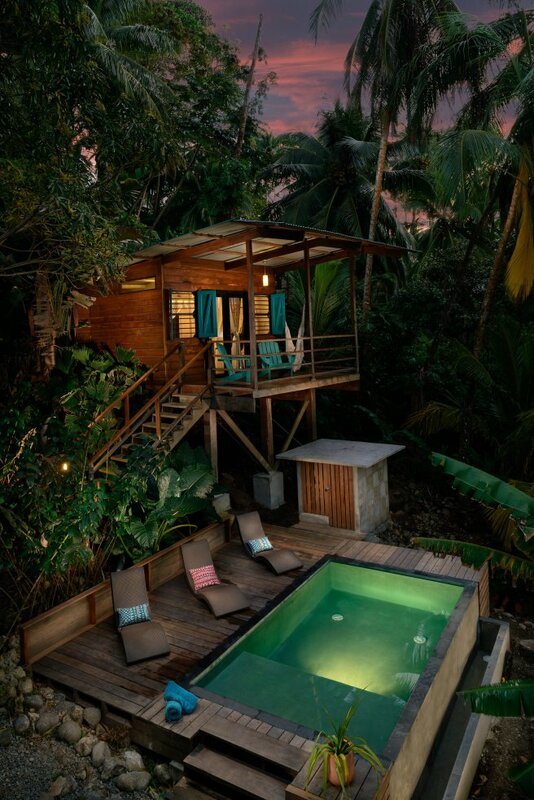 Tucked away in a secluded part of Bocas del Toro is an experience you will never forget. Each of the bungalows at Azul Paradise features a private outdoor shower, an outdoor living area with sofa, sunken lounge over the water, and a ladder leading from the sundeck straight into the waters of the Caribbean. 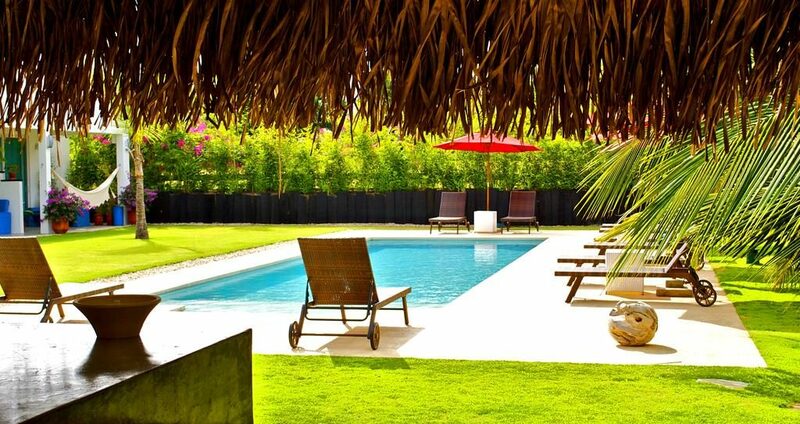 Camino del Sol is an impressive hideaway near the popular surfing destination of Playa Morillo. According to guests, “Sebastian was an incredible host and has created a little paradise on the Pacific coast, what an incredible place. Look forward to coming back here for longer next time.” Your experience at Camino del Sol includes an amazing breakfast prepared daily for you by Sebastian and an onsite restaurant for your other meals. 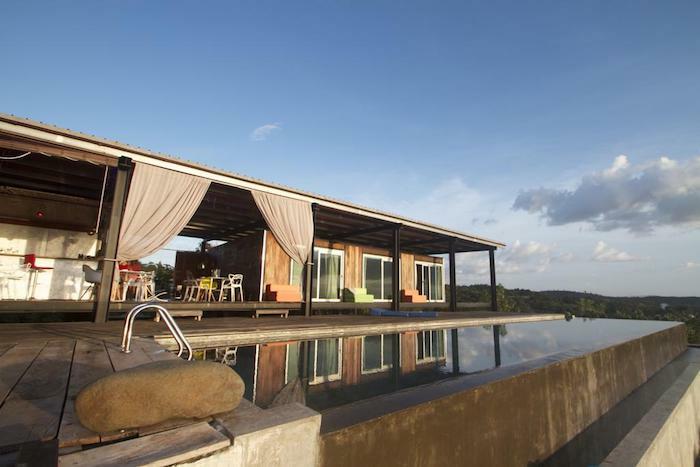 The highlight of the property is definitely the infinity pool with a view of the surrounding hills and ocean. 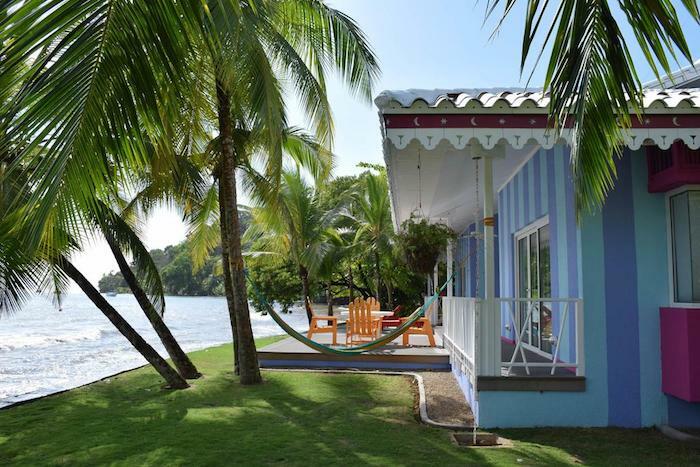 The Resort at Isla Palenque is located in Boca Chica and is your own private retreat. 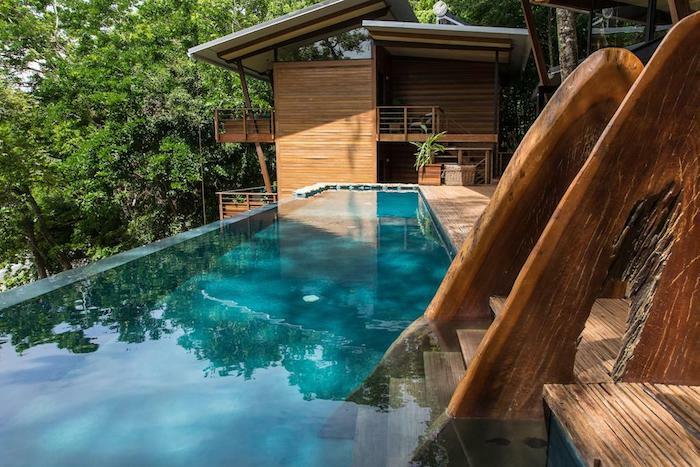 The villa has space for 12 guests and features a private pool, multiple suites with floor to ceiling windows that blend in with the tropical surroundings, and an onsite bar & restaurant (3 meals a day included). The is the ultimate getaway for a group of private jet-setters looking to disconnect and enjoy privacy. 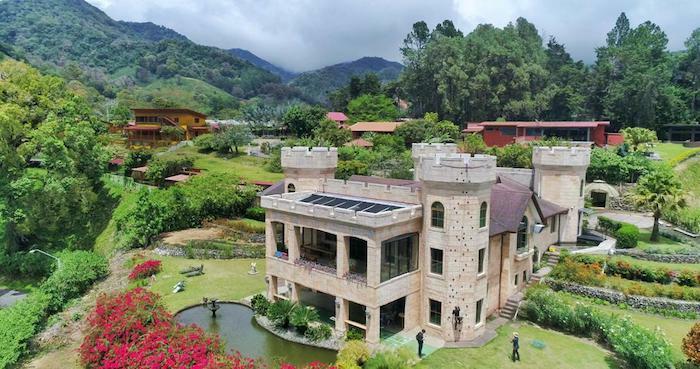 Ever wanted to stay in a castle? Bambuda Castle is an affordable hotel & hostel in Boquete, Panama. The property features a pool, jacuzzi, and an outdoor rock climbing wall! According to guests, “A truly unique experience, a must do again. Food was excellent and prepared by a chef on site from Chile with a 10+ rating for presentation. The pool and hot tub was great and the grounds around the Castle was amazing. View from outside sitting area was truly spectacular.” The hotel also offers reasonably priced tours to Boquete’s most amazing outdoor experiences. 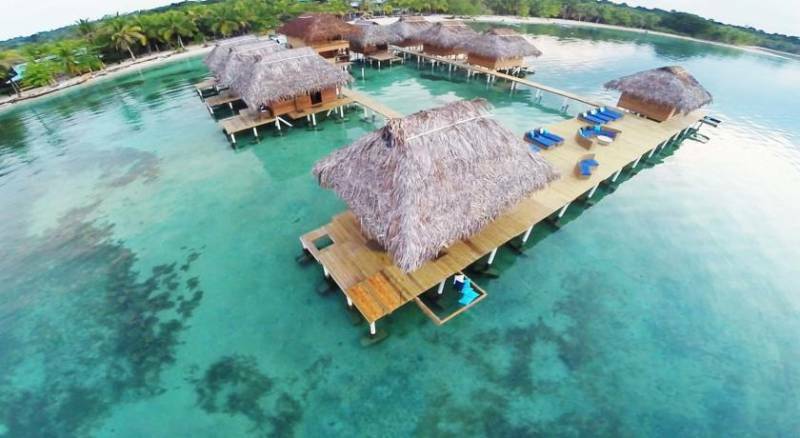 Bambuda also has another incredible property in Bocas del Toro with affordable & beautiful accommodation. Guests at this oceanfront getaway can enjoy paddle boarding, kayaking, and a waterslide that goes from the lodge to the ocean. 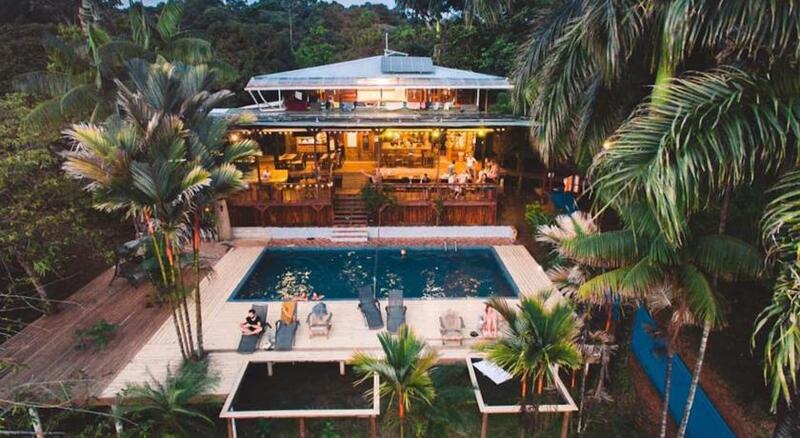 Just 1.5 hours from Panama City is the Arganama Guesthouse in Punta Barco. The property has a beautiful outdoor pool, delicious breakfast, and only 7 rooms so it will never be crowded. They even let you take their beach umbrellas & chairs with you to the beach. You left out Cala Mia Boutique Resort. My husband and I are here now and loving it except for the rain but we were told it rains in Panama year round. Come see this place. The food is divine.